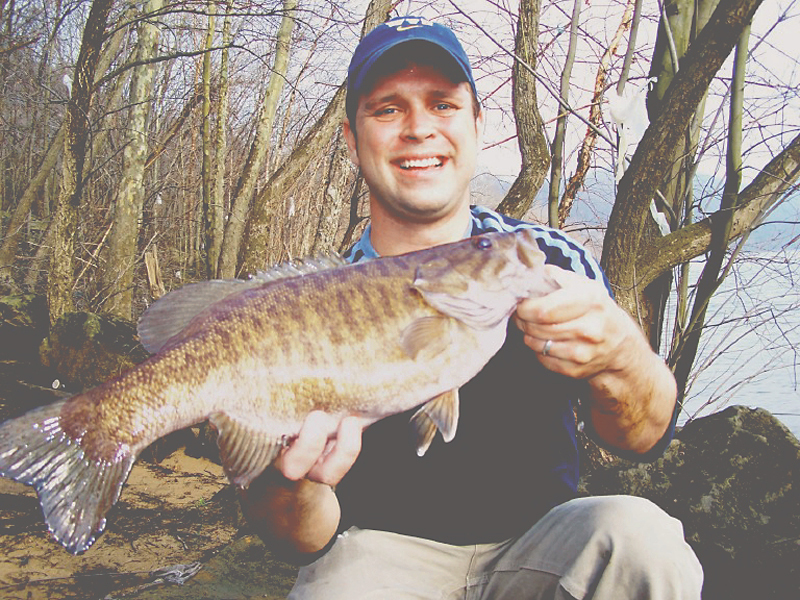 Contrary to its name, the New River is one of the oldest rivers in the world. 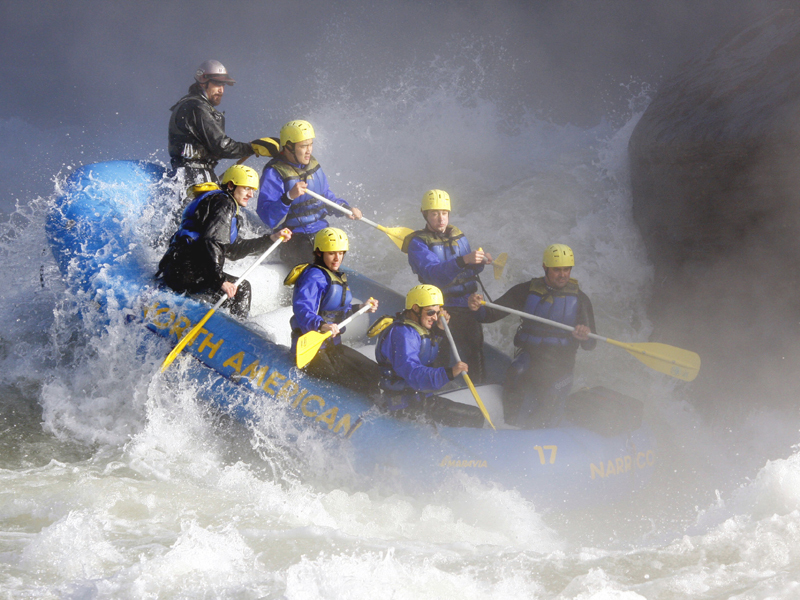 Its varied level of difficulty makes New River rafting suitable for a wide range of whitewater rafting enthusiasts. 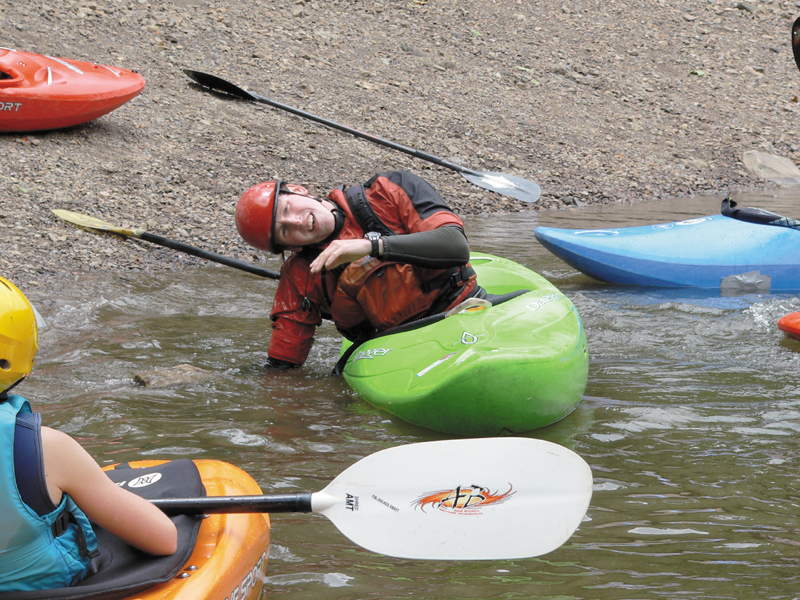 The Upper New River is known for its friendly Class I-III rapids. However, the Lower New River is notorious for it’s advanced Class IV+ rapids with drenching waves. 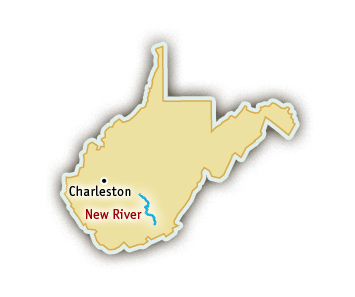 The New River offers remarkable scenery while passing abandoned mining towns and lush canyon walls rising 1400 feet. 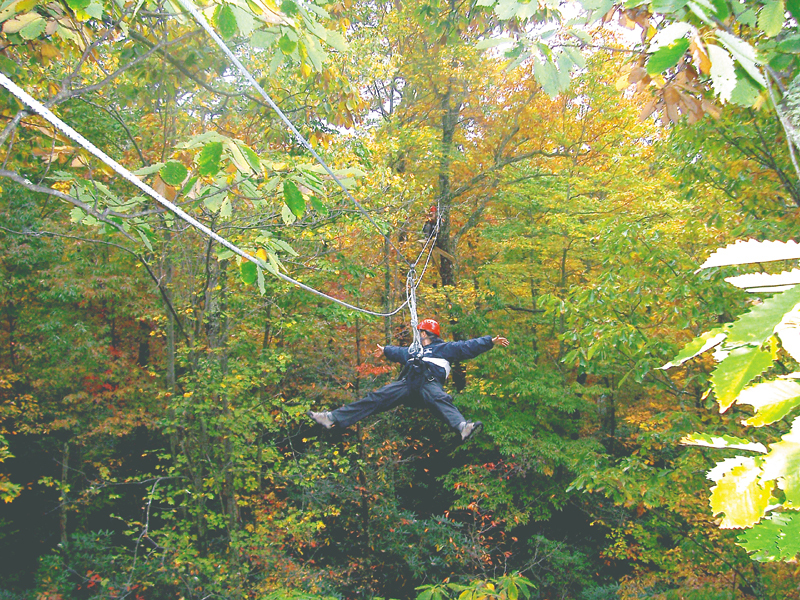 ACE Adventure Resort – Right in ACE’s backyard, you will find a rich diversity in white water rafting adventures – beginner-friendly trips for the whole family or a ride so wild it takes your breath away. 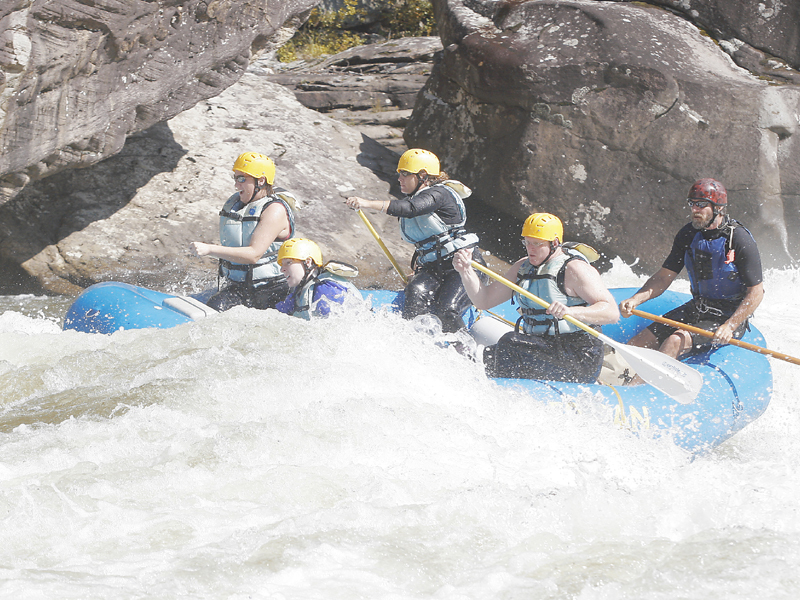 It’s the world-class New and Gauley rivers. 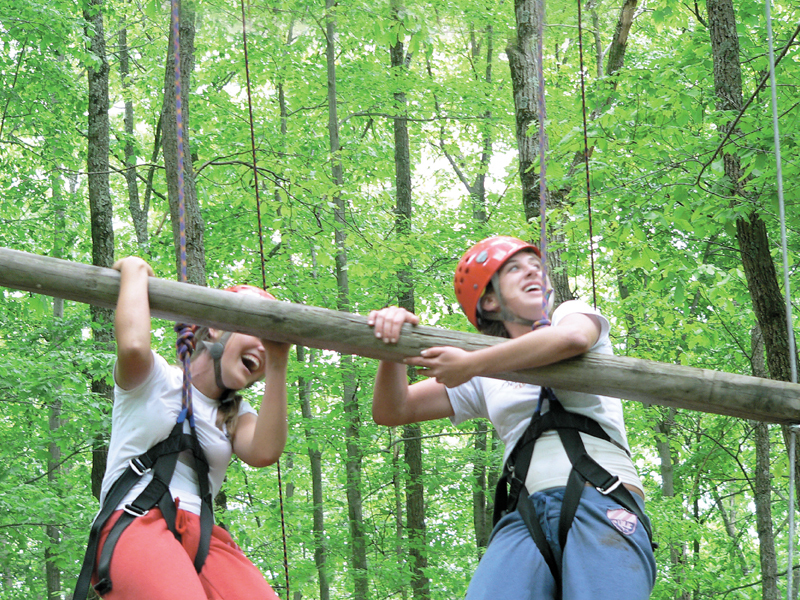 Choose from half-day to multi-day excursions. 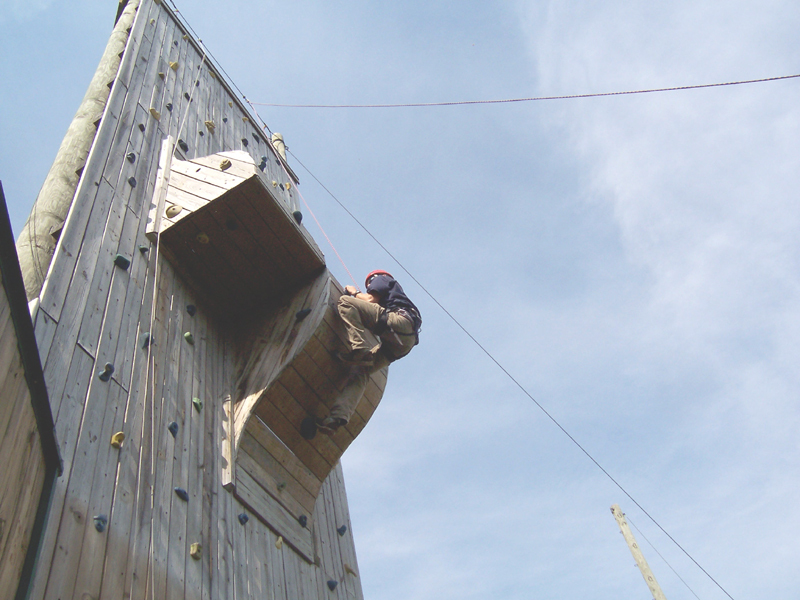 Visit their website for more information about New River Rafting. Class I and II rapids make this the easier of the two sections. 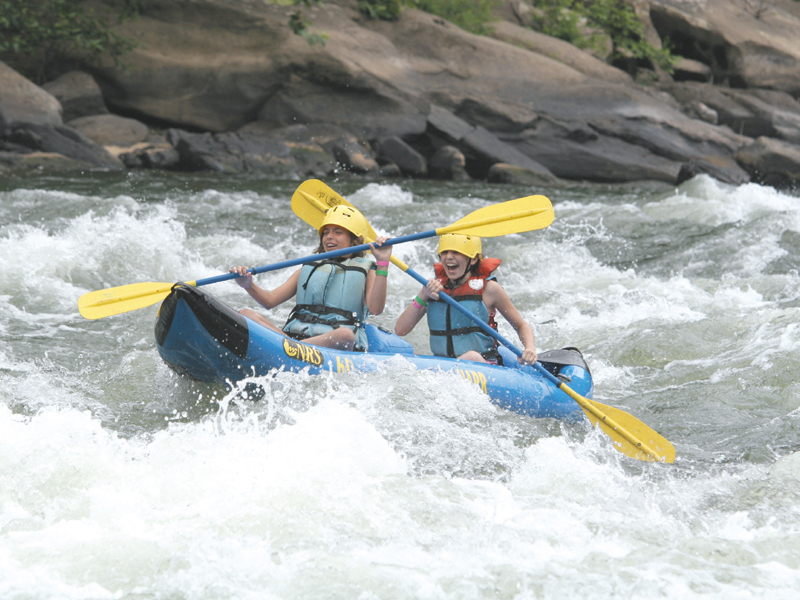 The Upper New River is known for its friendly Class I-III rapids. 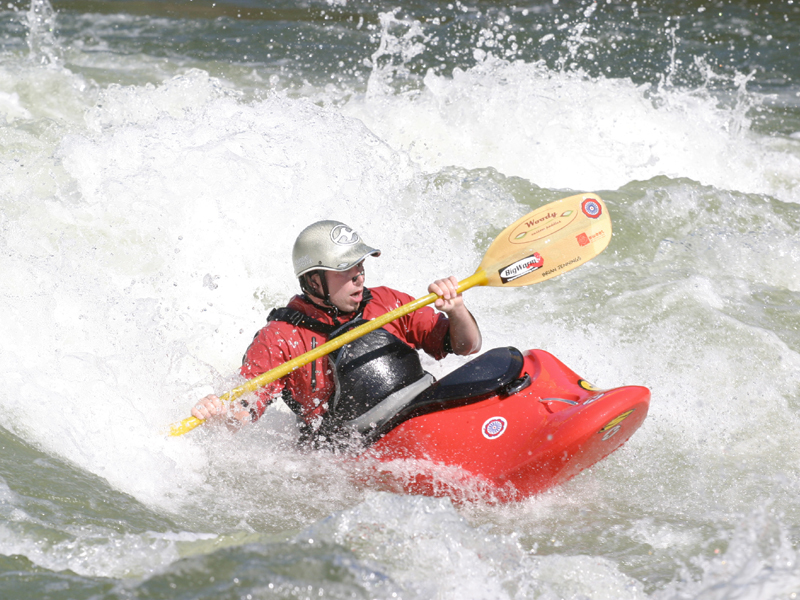 It offers easy to moderate rapids, with long chutes dropping gently over ledges and expanses of calm water interspersed with stretches of waves. 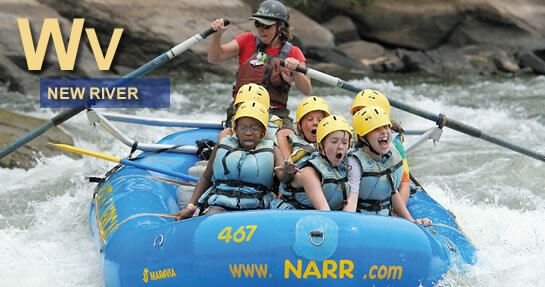 Opportunities to swim or go on a hike make Upper New River rafting ideal for family adventures or for scout and youth groups. 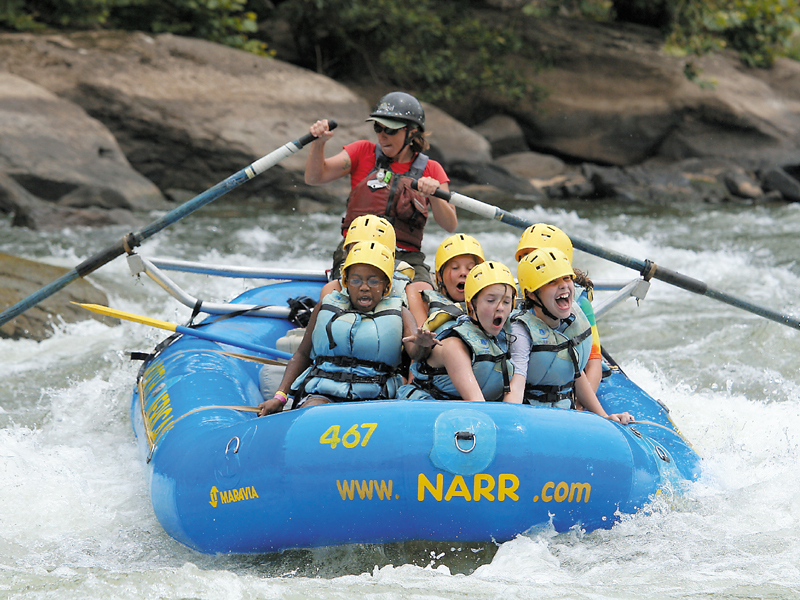 Because little maneuvering is required to negotiate the rapids, the run can be enjoyable for children as young as six. This stretch of river is fifteen miles long and takes six to eight hours. The Lower New River drops 250-feet in sixteen miles, as it passes through what some call the “Grand Canyon of the East.” A trip on the Lower New is notorious for its big waves and advanced Class IV+ rapids such as The Keeneys, Double Z and Greyhound Bus Stopper. Towards the end of the run, rafters get a view of the imposing New River Gorge Bridge. At 876 feet, the New River Gorge Bridge is the Northern hemisphere’s longest single-span steel arch bridge. 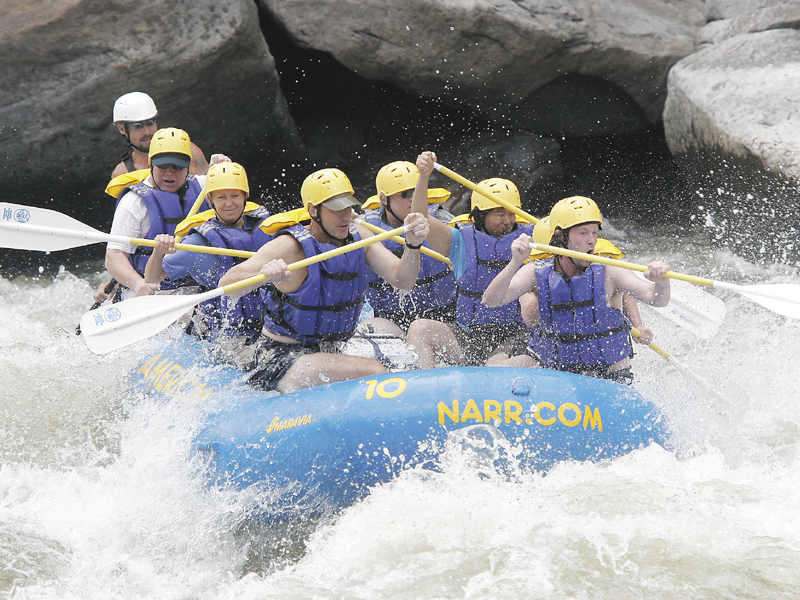 Although the New River is free-flowing, it is a high volume river and there is ample water to go rafting all spring and summer.